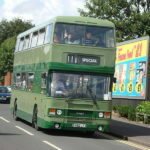 Another long-established interurban route, The Witchway, from The Burnley Bus Company, is today’s winner on #AYearOfBuses. 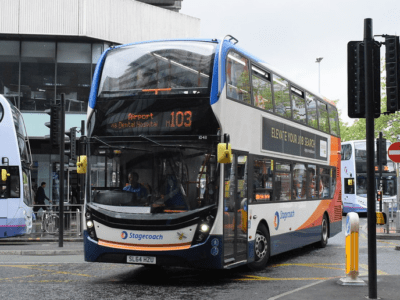 With a long and distinguished history traceable all the way back to 1948, the X43 is one of Lancashire’s most important bus routes. 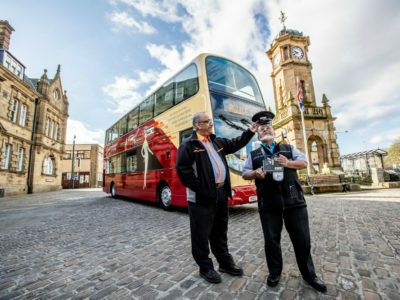 Today, it’s run by Transdev’s The Burnley Bus Company, connecting Skipton with Colne, Nelson, Burnley and Manchester, running fast down the M66 into the city up to every 15 mins. 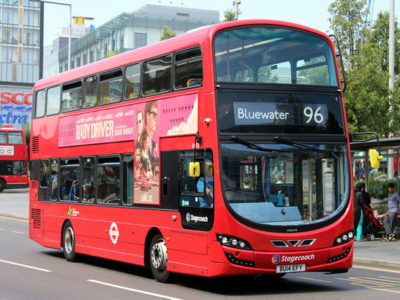 The route was branded as The Witchway in 2005, with a fleet of sparkling black and red Wright Geminis, similar to those launched across the Pennines over on Harrogate’s flagship 36. 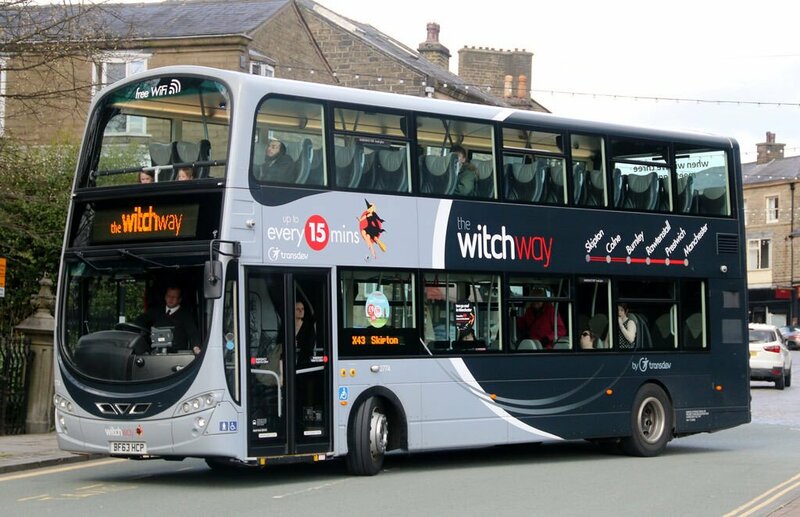 Each of the buses wore the name of one of the Pendle Witches, from 17th century folklore. 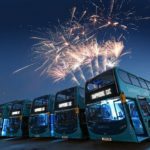 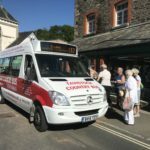 Today, The Witchway continues along the same theme, with a fleet of 18 high-spec Volvo double-deckers kitted out with huge comfy coach seats and free WiFi as standard. 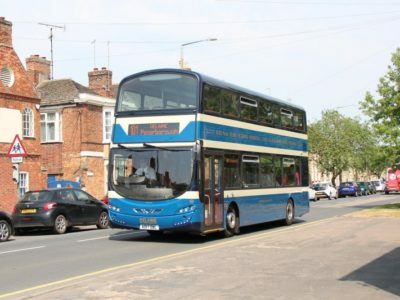 On the way up to Skipton, it crosses some of Lancashire and North Yorkshire’s most picturesque countryside – the view from the top deck is simply spectacular.